mornin mornin mornin, brr its gone right chilly here all of a sudden, almost autumnal. No more nipping out at the unearthly hour of 5.30am without a cardie. The darker mornings are starting to creep upon us too but on a positive note I do get to see the sunrise on my early morning round trip. This mornings' was just beautiful. It's GCSE results day today for Harry bean and all students across England and Wales. We've all got our fingers crossed he's done well to head off to college next month to start his 3D design course. I'll keep you posted :-) I'm a bit nervous but H is as calm as a cucumber!!! as usual and still fast asleep. 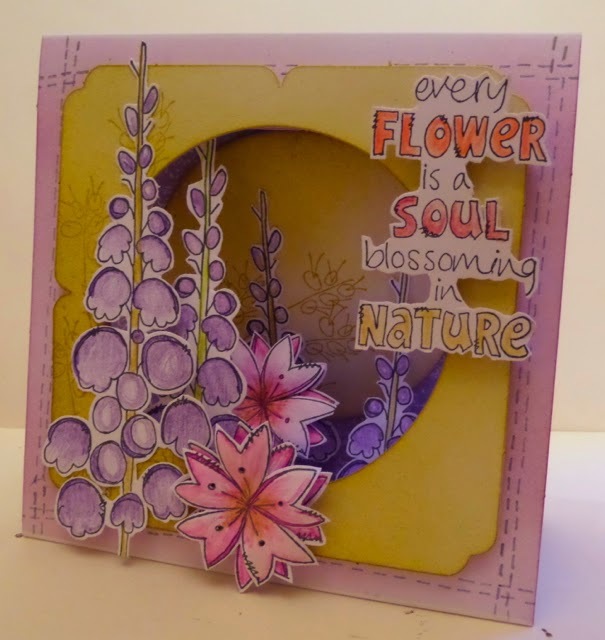 Lovely card design using the Jofy stamps. 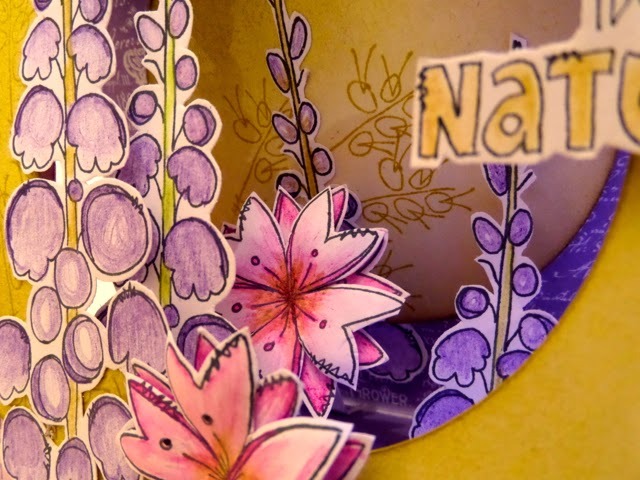 Like the way you've decoupaged and arranged the flowers. Hope Harry's results are what he hoped for. One happy Mum with one happy son! How cute this is Clare!!! 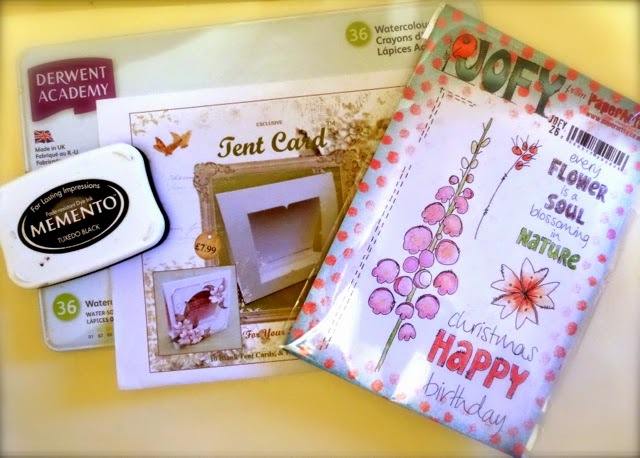 I have not seen the little "tent" cards before! Hmmmm more ideas!!! Hope Harry did well on his tests and that all comes out the way he wants!!! We seem to be on our way to an early autumn as well!!! We have had buckets of rain although yesterday was a very pretty sunny day with beautiful clouds in the sky!! Off to coffee/class at PMS this morning, hope you got my note through Facebook!! Talk to you soon. Hi Clare. 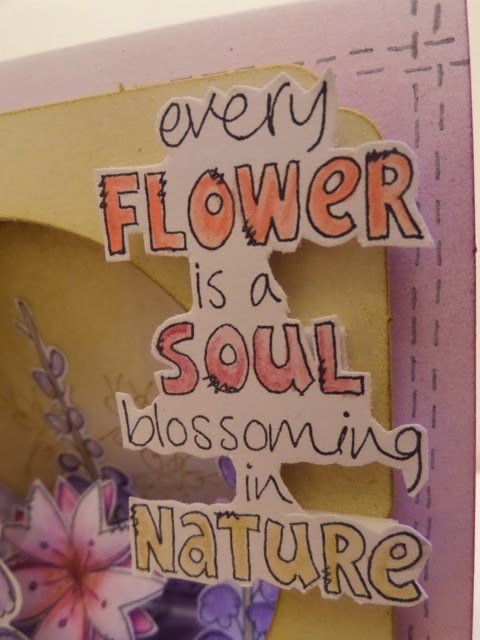 This card is lovely, gorgeous colours and very beautiful sentiment, I love it !! Here's hoping the results opening went well for H !! 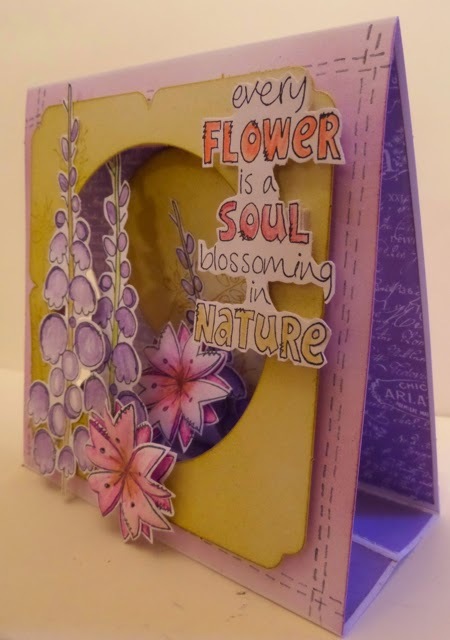 what a very beautiful flower card Clare.